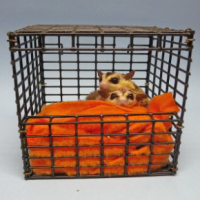 Sugar Gliders love to feel snug as a bug. 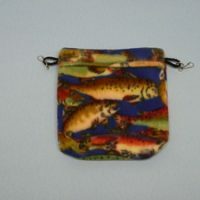 With this little pouch, you can carry them with you wherever you go. 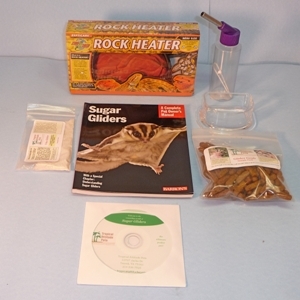 This pouch is a very useful tool for any Sugar Glider owner. It is especially useful while bonding with a new glider. The more your glider can be with you the faster it will actually bond with you. The problem is you don’t always have your hands available or you are busy doing something and you can’t watch the glider to be sure it doesn’t crawl out of your pocket. This pouch is perfect for that. You can still have your glider with you and not be worried about it because you know it is safe and sound closed up in the zippered pouch. 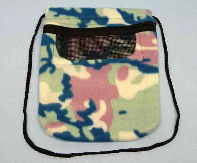 This pouch is about 8″ square and has a nice cord that allows the pouch to be carried over the shoulder or around the neck. 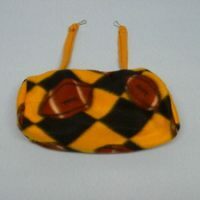 They are made of polar fleece which offers great air circulation, and the pouch has a nice screened window for further ventilation and for the glider to be able to see out. Suggestion: Always have a piece of fresh apple in the pouch with the glider to be sure it remains well hydrated.